The imminence of the long-prophesied kingdom of God and the end of time has occupied Christians and Jews more than any other subject of theological conjecture. Certainly, at the time of Jesus, the Pharisees were not above examining mathematical formulae or observing the signs of the times in the hope of gaining insight into the when, where or how (Lk 17:20f). The fascination has endured over the past two thousand years, notably with looming ‘end of the world’ prophecies from groups like the Jehovah’s Witnesses, fired up by the re-emergence of Israel as a nation state in 1948 (seen to be the eschatological fulfilment of Old Testament prophecies and a dispensational interpretation of Romans 9-11); and the preponderance of alarmist Armageddon-fixation paperbacks which have flooded Evangelical bookshops on both sides of the Atlantic. Were Jesus and the Early Church mistaken about the timing of the Second Coming? Was St Paul in particular misguided in his belief that the Parousia would occur within his own lifetime? Did that view change as the likelihood diminished? It didn’t come. In fact, we’re still waiting. But for Jesus to be mistaken about the imminence of the Parousia presupposes that he suggested a timing. Yet he plainly states that he did not know the time (Mt 24:36-44). There is, however, an indication that he envisaged an imminent return (Mk 13:33f) – why else would he tell those listening to ‘be alert’ if he had known that thousands of years would pass before the event? The Early Church would have viewed things rather differently if Jesus had given just a hint that his return was at least a couple of millennia away. So why did he go on about imminence, nearness, soon and at hand? Consider: ‘Verily I say unto you, that this generation shall not pass, till all these things be done‘ (Mk 13:30). What is the meaning of ‘generation’ in this context? Is it ‘age’, ‘time’, ‘race’ or something else? Isn’t Jesus being – to say the least – annoyingly obfuscational? And on purpose? Or are we so wrapped up in our own hermeneutic of the immediate that we view aeons of eschatology through the impatient prism of instant coffee, fast food and exigent email? Wherever is the time to meditate, reflect and ponder deeper truths? Surely the purpose of Jesus uttering words of imminence was not to give an exact date for his return, but rather to indicate the certainty of that return? If every word in the Bible means what it says in the 21st century and says what it meant in the first centuries AD – as certain biblicists, literalists and fundamentalists would have us believe – then Mark 13 presents us with an insurmountable problem: a Jesus who was wrong. The discourse begins with the events which led to the destruction of the Temple, and then climaxes with the Second Coming and the end of the age. Since Jerusalem and the Temple were destroyed around 30 years later ( a “generation”), these events were not succeeded by the culmination of history and the end of the age, as Jesus indicated they would be, and so it could be construed that he was undoubtedly mistaken. Jesus was a man of his time, fully conversant with apocalyptic expectations, who envisaged a very brief timescale for the fulfilment of the kingdom. If this were so, then he was fundamentally mistaken. The ‘signs’ are highly generalised. When Jesus is speaking about times and seasons, he could easily have been talking about the impending judgment upon Israel. The link becomes a thematic one – the woes leading to the destruction of the Temple are a foretaste of the end-time judgment – a literary device which is not without precedent. Jeremiah talks of an enemy invasion (chapter 4) and lists the consequences of judgment, but includes a Genesis-like account of primordial chaos (vv23-26). His point is not to prophesy chronologically that the invasion will induce such chaos, but that the invasion will make it feel like it. Similarly, Joel’s prophecy of a locust invasion (chapter 2) merges into the sun and moon darkening and ‘the great and terrible day of the Lord‘ appearing (v31). The Messiah didn’t follow the plague of locusts: it just felt like he should have done. It is not unreasonable to suggest that the Gospels lean on the same literary device: Jesus has a prophetic announcement with a historical judgment, but also employs apocalyptic hyperbole to make his point. Like the Old Testament prophets, Jesus shifts from a day of imminent (and literal) judgment to the day of final (and hyperbolic) consummation. The literalism which some apply to the Parousia prophecies is inappropriate (to put it politely) when viewed in the context of apocalyptic style. While some prophecies contain an appreciable amount of detail ( eg 1Kgs 21:19) with a literal fulfilment (22:38), the vast majority foretell an event (eg 1Kgs 20:42), but the details are not made known. There are many prophecies foretelling a future judgement on Israel for her disobedience (eg Amos 8), but the ‘specifics’ are nothing of the sort. The land didn’t have to tremble literally (v8), nor the sun set at noon (v9). This sort of stuff drives Richard Dawkins up the wall. Amos is evoking a notion – creating a feeling – of impending judgment, which actually fell 50 years later in the form of military defeat by the Assyrians. The imagery and symbolism are inherently apocalyptic, within which specific numerical references can, in fact, represent fuzzy multitudes and enigmatic chronologies. To assert that Amos’ prophecies were not literally fulfilled is not to deny the general sense that God’s judgment clearly came. Similarly, prophecies of the Second Coming are not undermined if it is suggested that the wording may be generalised or stylised: they are concerned with the awesomeness of eschatological events, not the minutiae of detail or the order of those events. Jesus did, however, make more specific references to the timing of his return which could certainly be construed as delimiting the end. He stated that the disciples fleeing persecution ‘shall not have gone over the cities of Israel, till the Son of man be come‘ (Mt 10:23). Knowing the relatively small size of their nation, it would have been easy for the Early Church to have somehow linked the presence of believers in every city in Israel to the Parousia. Moreover, Jesus went on to proclaim: ‘That there be some of them that stand here, which shall not taste of death, till they have seen the kingdom of God come with power‘ (Mk 9:1). You really couldn’t blame Thaddeus and Bartholomew for thinking they’d live to see their Lord’s return. But if Jesus did delimit the end, anticipating his own return within a generation, and pointed to the destruction of the Temple as the ultimate sign of the imminent kingdom of God, then it must be conceded that Jesus’ expectation was not fulfilled. Indeed, Jesus himself alluded to God’s ultimate sovereignty and his ability to ‘shorten those days‘ of the ‘great tribulation‘ (Mk 13:20; Mt 24:21f), and therefore prolong the age of repentance. The argument is compelling, and not without scriptural precedent. God responds to human repentance and can alter the outcome of prophecies (eg Jonah 4). His compassion is evident when judgment is due (Lk 13:6-9) and his will is clearly not unalterable. He is a God who heeds our prayers, and it may just be possible that Jesus’ final prayer – ‘Father, forgive them; for they know not what they do‘ (Lk 23:34) – drew on the mercy of God to rescind His holy will, and thereby extend the period of grace far beyond that envisaged by Jesus. With 2,000 years of hindsight, scholars may now be in no doubt that Jesus had broken decisively with ‘ordinary’ apocalyptic in claiming that the powers of the kingdom of God had already been made manifest in human history. But the Early Church would have had no immediate appreciation of this, even though Jesus substantiated the claim time and again with signs and wonders. So whereas Mark 9:1 could be construed as a delimited ‘end’ around 60 years thence, it is more likely that Jesus was referring to his own entrance into human history as the irruption of the power of God’s kingdom. Similarly, it must be observed that other references in Mark borrow from the Book of Daniel (eg Mk 13:30; 14:62 cf Dan 7:13) – that is to say that the coming of the Son of Man in judgment for the destruction of Jerusalem, not for the end of the age. So there is not necessarily a clear indication that Matthew 10:23 is delimiting the end, but, rather, employing apocalyptic language in a metaphorical manner referring once again to the judgment on Jerusalem. In light of Jesus’ reluctance to inform the disciples of the precise timing of the end, it is far more likely that he was urging them to get on with their mission to the lost sheep of Israel, and warning them that judgment would befall Jerusalem before their task was completed. It also needs to be observed that Jesus made numerous references to history continuing after the urgent advice to flee Jerusalem (Mk 13:14ff; Lk 17:31ff; 21:20ff), supported by the warning that the vineyard is to be given to others (Mk 12:9) – the Gentiles. Such blatant references to a ‘future’ lend force to the argument that Jesus anticipated an imminent destruction of Jerusalem only, and was not mistaken about the timing of the Parousia, which was to come like a thief, utterly without warning. The Early Church, however, certainly had an expectation that the end, the final consummation, would follow “soon”. The Resurrection was itself the “first fruits” of an apocalyptic event (1Cor 15:20), and there was constant speculation of the imminent restoration of the kingdom to Israel (Acts 1:6). Peter’s speech at Pentecost (Acts 2:17ff), as a fulfilment of the prophecy of Joel (2:28), further exacerbated the sense of imminence, as this gift was to be given for the last days: it would have been incomprehensible to the disciples that the last days would go on and on and on for another 20 centuries (or more). 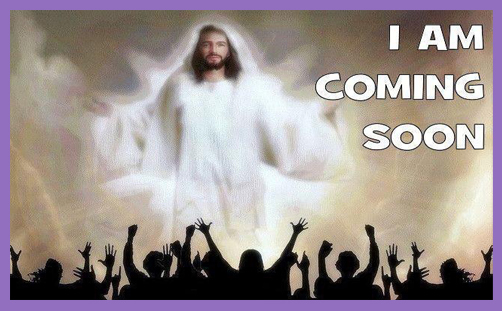 There was a constant yearning for Jesus to return and to do so soon (‘Maranatha!‘ – 1Cor 16:22), which suggests quite clearly that the Early Church had an imminent hope and expectation of the Second Coming. The question then becomes one of expectation manifestly dwindling with the passing of time, and whether ‘adjustments’ were made in theology to deal with the problem of the delay and Jesus’ ‘failure’ to reappear. Do ‘adjustments’ imply scriptural errancy? Does ‘failure’ suggest fallibility? Perhaps St Paul can shed some light on the matter – hopefully tomorrow..